DWO Classic - 3 1/4" closed lockback. 8Cr13MoV stainless clip blade. 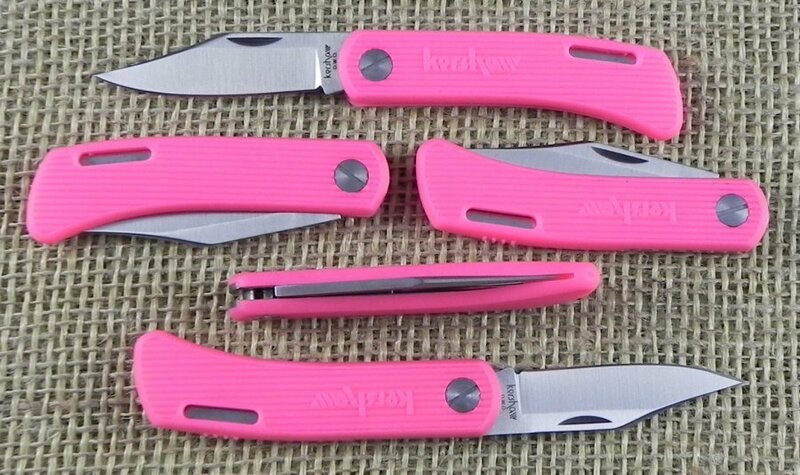 Pink non-slip rubber co-polymer handles.